Years ago, a Columbian family discovered they had a passion for food. As a result, that passion has provided Latin food for residents across the community through the Latin Grill and Cabos Cantina Grill. Anderson Ruiz, along with his father, mother and brother, own the restaurants and opened the newst of them six months ago. Cabos Cantina Grill, recently opened, is mainstream Mexican, with a little Tex Mex. Both take-out and dine-in are available, and the restaurant is also licensed in selling alcohol which contributes to the full cantina vibe and hand-crafted margaritas. It is open from 11 a.m.-9 p.m. on weekdays and 11 a.m.-10 p.m. on Fridays and Saturdays. At the same time, the Latin Grill, once the Latin Café, serves a plethora of international Latin food, from Cuban to Puerto Rican, and provides both dine-in and take-out as well. This restaurant opens for breakfast daily from 7 a.m.-9 p.m.
Ruiz additionally keeps busy with a family-owned catering business that serves all types of cuisine, not specifically Spanish. Depending upon the menu, Ruiz is able to offer both restaurants for catering. Ruiz typically spends his mornings running the catering business, his lunches at the Latin Grill and the rest of the day at Cabos. He originally obtained an accounting degree and went to culinary school in New York, where he opened his first restaurant at age 22. His family then joined him in the business and they all moved to the area and opened the Latin Café. They’ve begun a few other endeavors in between, but “these are our two babies,” Ruiz said. “We play with flavors and run them on weekly specials. Then whatever gets good customer reviews goes on the menu for good,” he said. The family makes sure their restaurants stay involved in the community by sponsoring school teams and contributing to charities. The Latin Grill is located at 3318 John Moore Rd. 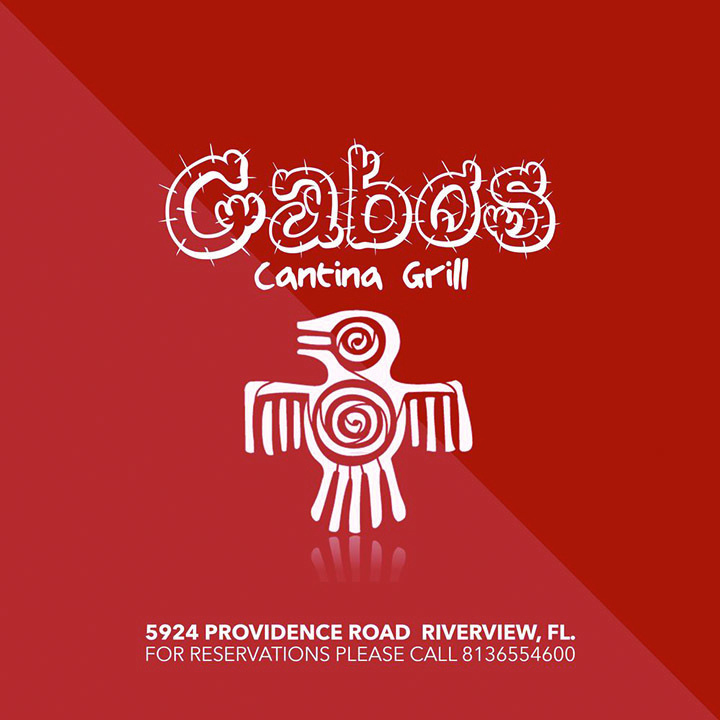 Cabos Cantina Grill is located at 5924 Providence Rd. For more information, visit www.caboscantinagrill.com or www.facebook.com/Latin-grill-186163264797884/.